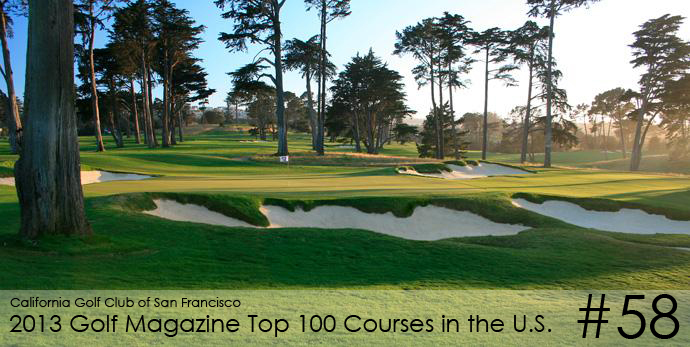 Congratulations to California Golf Club of San Francisco on moving up 39 spaces to #58 in Golf Magazine’s Top 100 Courses in the United States. Click here to view the ranking at Golf.com. Thanks for the kind remarks, John. Glad you enjoyed it!